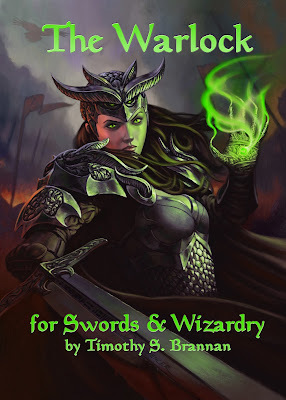 Nik Nak is one of the first warlocks I worked up for my new Warlock for Swords & Wizardry. He is a sneaky little goblin, but smarter than most. Saves: +2 to saves against charm, hold, paralysis and sleep spells. Nik Nak is a respected, and feared, member of his goblin clan. He is an impressive and smarter than average goblin. So smart in fact he found his way to the center of the Goblin City and presented himself to the King of Goblins beseeching him for power. The great King admired the young Nik Nak's verve and granted him a token; a feather from his own cape. The feather became Nik Nak's warlock familiar and now Nik Nak serves as a warlock with the Faerie Pact to the Goblin King. In battle, Nik Nak carries a bone rod and wears leather armor. He rides on a giant frog (named "Mrs. Black") he has made obedient. He wears the skull of a giant rat as a helmet. Though this is more to protect the feather he has braided into his long dreadlocks than his own skull. Nik Nak is a goblin, but he is not a particularly evil one. He has learned that the threat of violence and terror of his power is usually more effective than actual violence. Also, Nik Nak is perfectly happy to deal with adventurers in amicable terms as long as there is something in it for him or his Lord the Goblin King. Usually found in the Goblin Wood outside the Haven Valley, Nik Nak can also be found wandering the Goblin Market where he trades wares, and insults, with other Bogelbos or in the town of West Haven where he deals with darker beings. Despite racial enmity, Nik Nak has friendly if strained, relations with the Winterhaven gnome clan. This is mostly due to the legendary friendliness of the Winterhaven gnomes. The Warlock for Swords & Wizardry will be out April 30, Walpurgis Night. "See the little goblin, see his little feet..."
Oh, and I forgot to add that I'm looking forward to this. 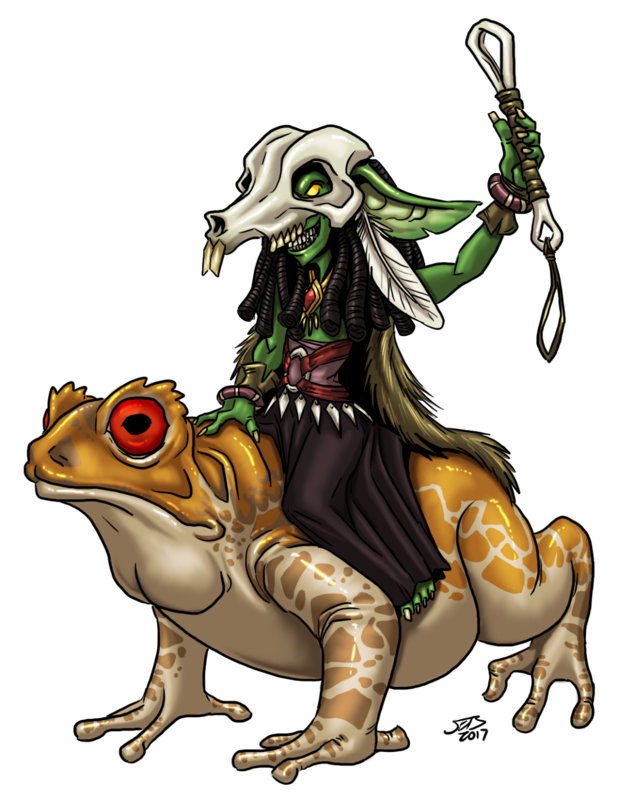 I love goblins and this fellow is particularly interesting. I'm looking forward to the release, sir.